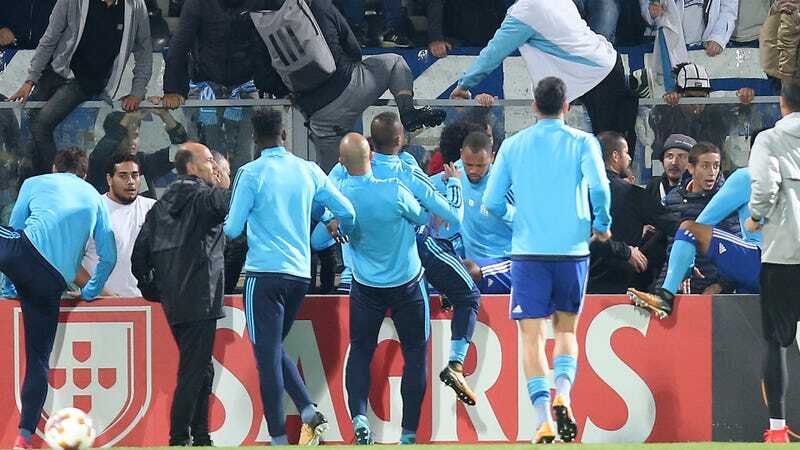 According to reports from those on the scene in Portugal, Marseille fans had been heckling Evra during pregame warmups for a good half hour. At one point a group of hecklers came down from the stands and near the pitch-side ad boards, where they were confronted by an angry Evra. After an exchange of words, Evra kicked one of the fans. Evra wasn’t named in the starting lineup but was to be on the substitutes bench. The Marseille-Vitória Guimarães match eventually kicked off like normal, and Marseille were allowed to play with their full starting XI.